WATCH is a new spin on the old idea of stealing a watch - it's a reliable technique that is foolproof if learned properly. It works performed speaking or silent, close-up or stage, and lends itself to stealing the same watch twice in a row, or stealing two or three watches from a group, sitting close-up. Jacques has tested it in the field around the world with all cultures, for over two decades, and it's been streamlined down to its essence. He believes strongly that the spectator has no idea what's just happened. The focus is on treating the spectator with respect and making them feel good about the experience. Practical pickpocket magic, for the workers out there. "Seeing Jacques work in South Africa, I can tell you unreservedly that his unique watch steal is the perfect combination of method, misdirection and mischievousness to slay any audience." "By the time you arrive at the end of this sentence, Jacques would have taken your watch - twice!" 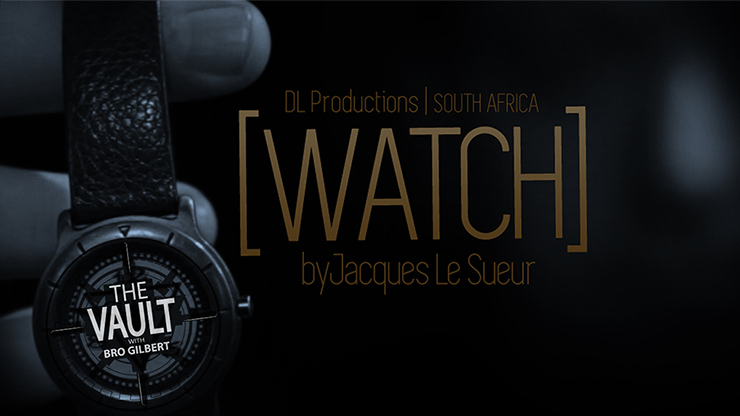 "WATCH is an excellent approach to stealing watches that eliminates the 'snags' of the classic methods. Jacque's approach is clear and well thought-through with the added touches that only come from years of working the material. If you steal - buy this!" "Stealing a watch is one thing, but what you do with it is another. You will find great satisfaction from the ideas shared on this download."